In support of Rotary Internationals campaign to rid the world of Polio, Leigh Rotarys team of willing volunteers planted purple crocuses in lawns at the side of a Shopping Centre and in a park in Leigh. 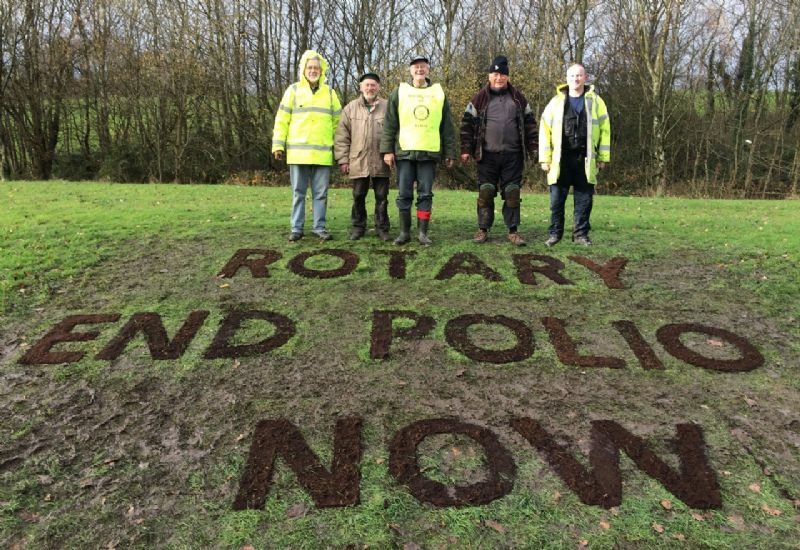 The crocuses have been planted to spell out the campaign logo, Rotary  End Polio Now in letters 750mm high and we are now looking forward (with great anticipation) to seeing them in flower. W. Howard Ltd of Astley, a leading supplier of MDF profiles for skirtings, architraves, etc., were kind enough to sponsor the cost of the crocuses, sign and ancillary equipment. They also supplied the MDF sheets, which were used for cutting out the letters for templates.